Eze Breeze windows are manufactured by PGT Industries in Sarasota, Florida. 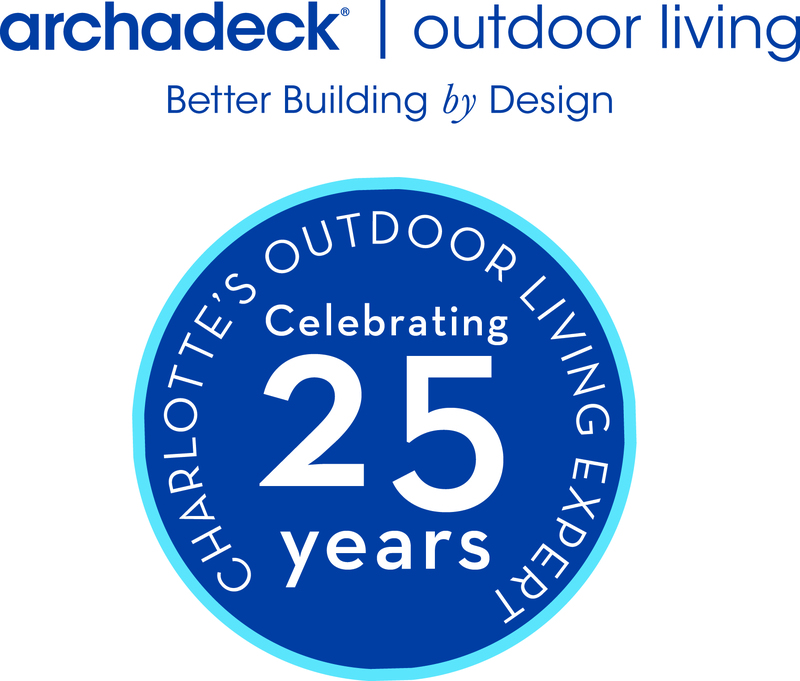 Archadeck of Charlotte has been installing their porch window product for over 15 years in the Carolina’s. There are many questions centered around how to best clean the Eze Breeze windows. If you read the warranty, you should never use a product containing alcohol (ie. Windex) as it will void the warranty on the vinyl panes. The windows all have little tabs at the top of each pane that allow you to completely remove the individual panes from the track. Because they are so light weight, this is quite easy to handle. Once you remove the pane from the track, you can simply wash it down with a soft soap and water or the PGT makes a cleaner specifically for their own product that is quite effective. Archadeck of Charlotte stocks the cleaner at their offices in Charlotte. Advantages of Travertine versus paver patio? The two most common patio materials that are used by professionals today in the Charlotte, NC market are pavers and travertine. The question we are often asked is to compare the two? There is a lot of misinformation around weeds and patios. When a patio is constructed properly, weeds are not going to grow up from underneath and through the patio. There is typically a 4 – 6″ base of crushed stone and screening that is used and it is tamped down to make a solid base. A best practice would be to use a polymeric sand to spread in between the pavers and allow it to harden. If the correct protocol is followed, weeds will not grow from underneath the patio. What can and will happen is weeds growing from seedlings that get blown onto the top of the patio either by wind, trees, or mowing. This is far different and much easier to maintain than weeds that are rooted below. What are my options to cover my pergola? While pergola’s are beautiful, there remains questions as to how much shade they actually provide. Over the past 10 years, there have been a variety of solutions that will provide additional shade and even create a dry space under your pergola. The early solutions were fabric that could be attached to the top of the pergola to act similar to an awning but they were fixed in place. They came in a variety of colors and the Sunbrella fabric prevented them from fading. Some of the challenges we mildew and they still were not water proof. Later, a company called Shade Tree developed a retractable fabric that installed under the pergola rafters. These have great utility but again are not water proof. Most recently, we have discovered a polycarbonate resin that acts as a roof that can be screwed down on top of the pergola. This not only provides additional shade but is water proof! As Eze Breeze windows have grown in popularity in the Charlotte, NC market, there is a thirst for knowledge around pricing. The actual landed cost around the windows (which are custom made) are somewhat comparable to a vinyl framed glass window while they are quite a bit larger. The installation cost of an Eze Breeze window is less as is the trim work required around the system. The keys are that when you look at enclosing a porch, adding glass means also adding trim inside and outside. In addition, depending on your local building codes, once you add glass to your porch, it may require a building permit while adding Eze Breeze does not! Eze Breeze windows are great and affordable porch enclosure solution providing you are not looking for a room addition, but rather an outdoor room. In the Charlotte market, we can use our porches most of the 12 months a year if we add either an outdoor fireplace or heaters to the porch. The beauty over glass, is that the windows allow for more free air flow in the warmer months and more of a cross breeze since they are able to be built from the ceiling to the floor unlike glass windows due the weight for the hardware.